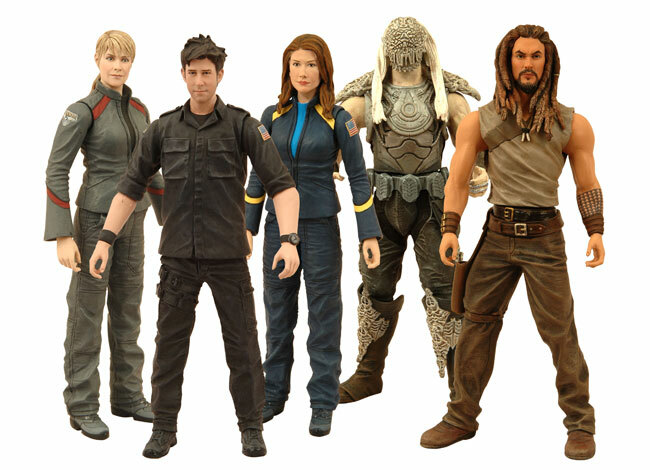 Diamond Select Toys has announced the third wave of Stargate Atlantis figures will be based on the third and fourth season of the popular Sci-Fi Channel show. The core release will include Dr. Samantha Carter and Dr. Jennifer Keller as they appeared in the showâ€™s fourth season, a hulking and imposing Wraith Drone, the limited Garrison Uniform Sheppard in his on-base black uniform and the Previews Exclusive warrior, Ronon Dex. 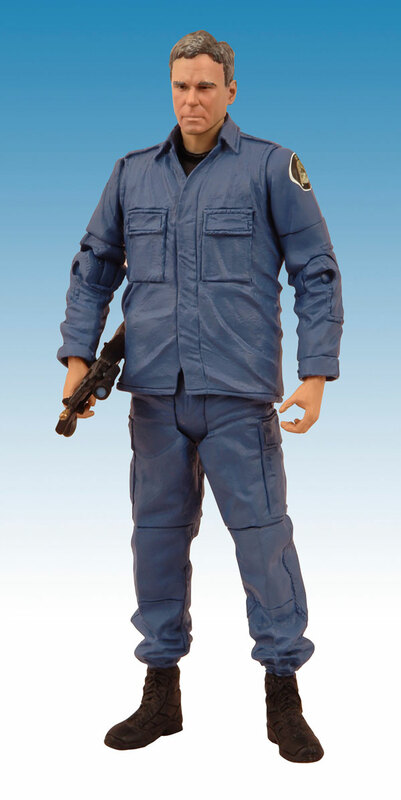 Also included in each case will be a special edition case-topper figure featuring a new version of a Stargate legend â€“ General Jack Oâ€™Neill in his blue garrison uniform! This limited figure will be included within each sealed case and will only be available from your local retailer. All the figures are sculpted by Jean St. Jean Studios and will stand 7-inches tall. Take the jump for two cool shots of the figures. OMFG I cannot wait, I am especially excited for the control chair.